It's difficult for me to imagine 'Jazz' without Charlie Parker. He, along with the likes of Monk, Bud Powell, Dizzy Gillespie, Max Roach, etc. re-fashioned jazz with the advanced harmonics, intricate melodies, and asymmetrical syncopation that is typically associated with the genre today. Inventing or discovering how extended scales could be used to traverse and re-harmonize chord progressions is the foundation of modern jazz. At the time, it was revolutionary, and it was quickly taken to the next level by the likes of Ornette Coleman and, of course, John Coltrane. For me, Parker's music was a gift from my high school jazz band director, Paul Larson. We played a chart of 'Now's the Time' and it seemed simple to my naively adolescent mind, but I did register how Mr. Larson was not letting us slide on getting it right(er). We rehearsed the deceptively simple melody again and again - I still can feel the finger patterns on my imaginary bass clarinet. Then in my unrelated guitar lessons, I tripped over the fingerings of 'Blues for Alice' until I maybe half got it, however I started seeing the connections between the melodies and the chords. My Parker experience was an torturous gateway to deeper musical thinking. A bit later, I discovered Phil Schapp on WKCR, Columbia University, which I could pick up from my quaint little North Jersey hamlet nestled deep in the land of the Sopranos. Schapp drilled into the minutia and importance of Parker in mind boggling detail. 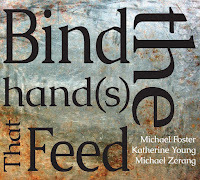 Session dates, sidemen, false endings ... another world captivated my mind. Parker had been seeking something with his music, and there was something to seek in it. In 1993, saxophonist and composer Antony Braxton, who has developed his own pioneering approaches to music, assembled a group to explore Parker's music in depth. 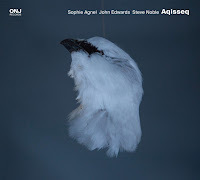 With saxophonist Ari Brown, trumpter Paul Smoker, pianist Misha Mengelberg, bassist Joe Fonda, and drummers Pheeroan akLaff and Han Bennink, he embarked on a deep dive with a European tour and studio dates. A double Hat Hut CD was released in 1995 documenting the group, and now this 11 CD box set is a deep dive into the deep dive - all of the music this group recorded between October 18 and 24, 1993 in Cologne, Amsterdam, Zürich, and Antwerp. However, Broomer then notes that in the mid-70s elements of tradition began appearing in his work. The first Braxton album in my collection was 'Duets 1976' with Muhal Richard Abrams. I loved the deep flatulent tone of the contra-bass clarinet and the adventurous takes on Dolphy's 'Miss Ann' and the 'Maple Leaf Rag'. Braxton's exploration of the past continued through the late 70s and beyond with his various Standards albums, the Thelonious Monk album, Six Monk's Compositions (1987), and explorations of the music of Warne Marsh and Lenny Tristano, and into the 2000's with the more contemporary Andrew Hill. However, it was still that '76 album that unlocked Braxton for me, I was less apoplectic to where to start and less apprehensive as to what I'd find. For what it's worth, the Parker work is just as perfect of an entrance. I think what's most important about the music, 25 years old now itself, is how it connects the avant-garde tradition (not sure if that's an oxymoron or not) with be-bop. 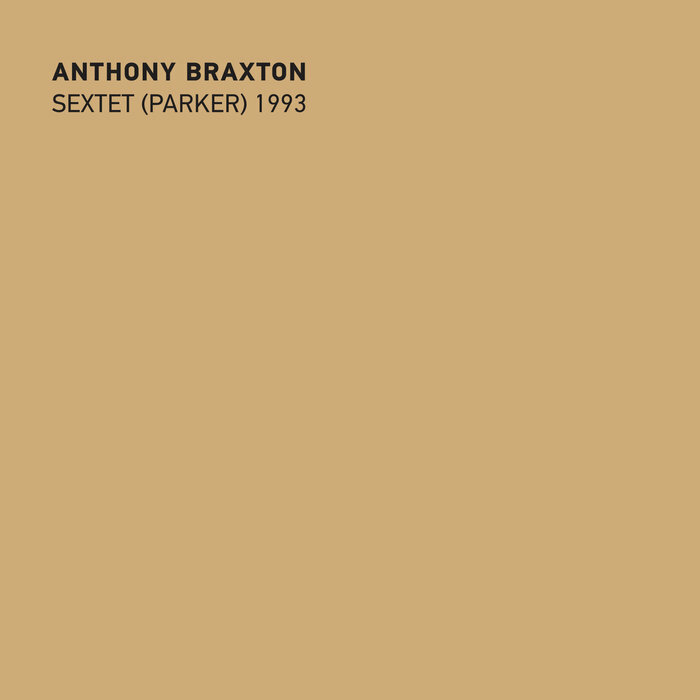 The renditions are not 'Braxton plays Parker' but 'Braxton Re-contextualizes Parker in the late 20th Century'. At the time, the height of the neo-traditionalists, it seems like Braxton was saying 'you know, you can do more than just copy this stuff'. Of course I have no idea if that is what Braxton was thinking at all, and it would be such a trip to see what Charlie Parker would have said to hearing these versions. 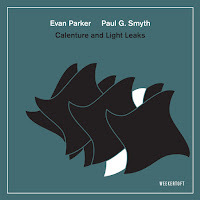 As Broomer writes, Parker has been seeking more, prevailing upon contemporary composers to help him push his music past its confines. Braxton also seems to not be one to rest easy with tradition. He explores, assimilates, absorbs, and transforms. Take 'Confirmation' the first track of the first disc, the opening is Parker's blizzard of notes over a tricky circle of 5ths chord progression. 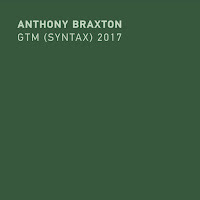 Braxton doesn't change the melody - it's as toe-tapping as it was in 1946 in all of its glorious be-boppiness - rather what the listener is treated to is a complete overhaul of the improvisational dimensions. The first saxophone solo begins immediately following the head and it starts Parkerishly with a quick descending line, but then it starts to smear, tonality gets fuzzy, Mengelberg's piano accompaniment, before dropping out all together, advances far beyond the confines of 1946. 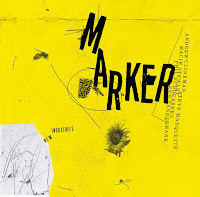 When the group re-groups on the theme at the end, we are delivered back on solid ground and one is left thinking "could this be what Parker was seeking?" The next track is 'Quasimodo', Parker's rewrite of 'Embraceable You’. It swings, the head is pretty straight forward, but just wait for Smoker to enter. His solo begins with brief bursts of melodic phrases and lots of space between them, the bursts grow longer and the spaces shorter until he is delivering a blur of notes smeared across the changes. It's intense, it's searing, and when he ends, Mengelberg answers in a similar manner: starting spaciously and melodically, he then drops some lovely passages before going full on Monk with delicious shards of phrases, small clusters of sharp chords and jerky syncopation. It's a joy and a great set up for Braxton who then delivers his own jarring lead. Just when you've figured it's done, the three of them begin soloing in tandem, a colorful finale to the individual fireworks. akLaff is the star early on the tune 'Klaktoveedesteen'. A pulsating and rolling drum solo kicks off the track, soon the piano starts littering notes about, while Fonda's bass can be heard buzzing in the background. Here, Braxton has abandoned the original structure of the song, opting for pure deconstruction. The melody does eventually return, but only towards the end. It's uptempo, it's upbeat, and it's only ever a beat away from pure disintegration, which it does occur a few times. Interestingly, a later take of the same tune drops the early drum solo in favor of an extended passage of free playing by the horns. So, this is just three tracks off the first of 11 CDs. Like Phil Schapp, I've been obsessing over Parker - I mean Braxton - or whomever. What may seem like a straightforward take on the venerable Charlie Parker catalog is really something much more. This box set is a treasure chest whose depth of riches will take a long time to be revealed. Finally, going back to Broomer's question in the liner notes: "How do you listen to the eleven CDs of Anthony Braxton’s Charlie Parker Project? ", hell if I know. I haven't gotten past the first half of the first one yet! I'm happy to say that this weekend, Tom Burris and Lee Rice Epstein will take us much further and competently into this stunning collection. Paul! What a nice review - thank you! I've been on a Steve Lacy binge for the past couple of weeks along with working hours being pushed to the extreme, but I've allowed myself to resurface a little bit and I immediately treated myself with this box set. It has the lightning fast lines of Parker, the "what if we just go this way and add a few dance moves"-Monk and the pure and obsessive "I'm not finished, I've got more to say and you have to listen to me"-Coltrane. Thanks Gustav - just wait until this weekend though, Tom's and Lee's reviews are excellent. Outstanding review Paul. I am looking at getting this set. Thank you.